The features of ControlUp and VMware vRealize Operations for Horizon are tested against a VMware Horizon View 7 environment. 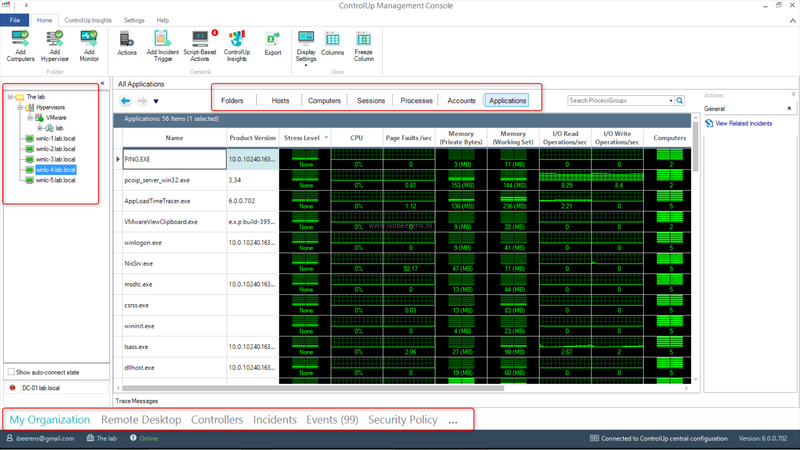 ControlUp Management Console. This is a .NET Windows application which connects to the vCenter Server/vSphere clusters and VDI desktops. ControlUp Monitor Service. This Windows service is responsible for alerting, reporting and uploading historical data to the Insight database which resides in the ControlUp Cloud. On the left is the Enterprise Network displayed. This is the on-premises datacenter where the hypervisors and Horizon environment resides and where the ControlUp Monitor and Console are installed. There is a very minimal infrastructure needed for deploying ControlUp. 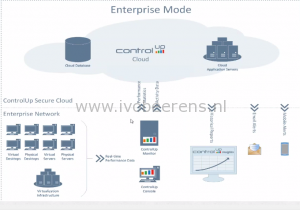 All the backend components are hosted in ControlUp cloud that is hosted on Amazon Web Services (AWS). It’s possible to have the backend components installed on-premises with a special version of ControlUp if you have special compliance requirements. With this version everything runs on-premises. 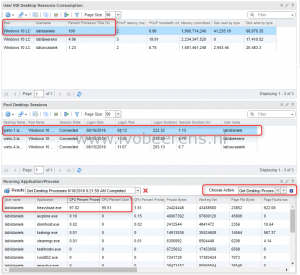 VMware vRealize Operations (vROps). vROps can be deployed on Windows, Linux or when using the appliance. 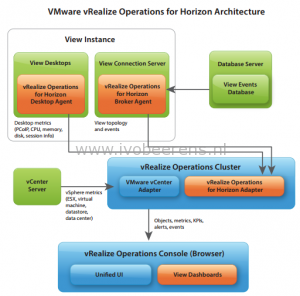 VMware vRealize Operations Horizon management pack (PAK). 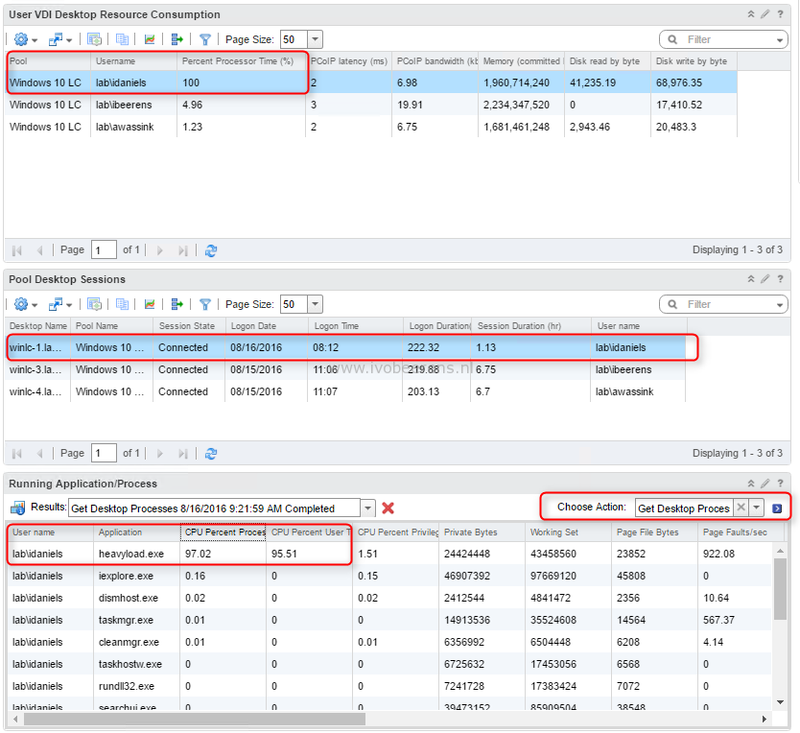 After the vROps is installed and configured add the VMware vRealize Operations Horizon management pack to vROps. vRealize Operations for Horizon broker agent. On one Horizon View Connection Server install the agent and pair this with vROps Horizon adapter. 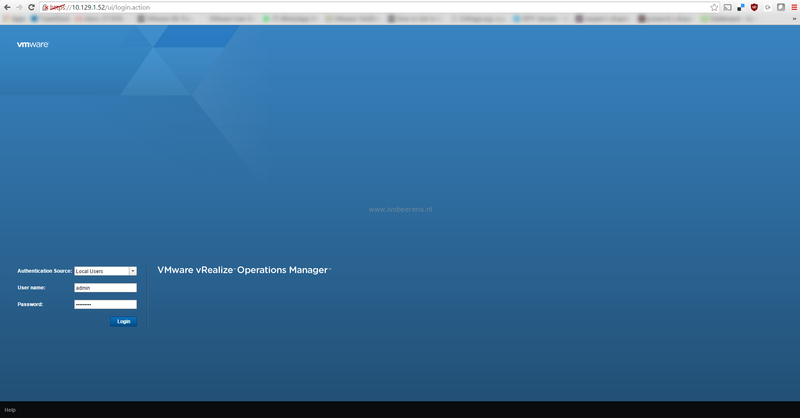 vRealize Operations for Horizon Desktop Agent. In the Horizon View Agent enable this feature. After installing and configuring these main components the gathering of statistics, events and performance data can begin. All the components are installed in the on-premises datacenter. 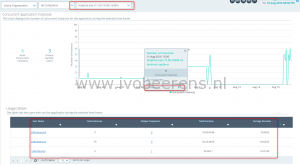 Besides the VMware vRealize Operations Horizon management pack there are other management packs available that can be imported in vROps such as the Virtual SAN and NSX management pack. This improves the end-to-end visibility and monitoring. When executing the ControlUp Management Console the following UI is displayed after adding the central vCenter server. This is a real-time performance dashboard. 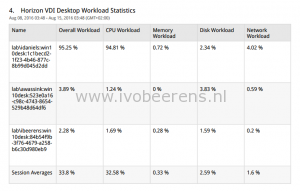 On the left the managed hypervisor(s), vCenter(s) and servers and desktops are listed. On the managed Windows desktops a lightweight agent is pushed. You can easily search, filter, sort, group by, customize and organize the columns that will be displayed in each dashboard. The User Interface (UI) for vROps is accessible from the internet browser. These are the default dashboards but it is possible to create own personalized dashboards with widgets and metrics you need. To demonstrate performance troubleshooting with both products we use a Windows 10 VDI desktop and run the tool “Heavyload.exe” to generate 100% CPU utilization. 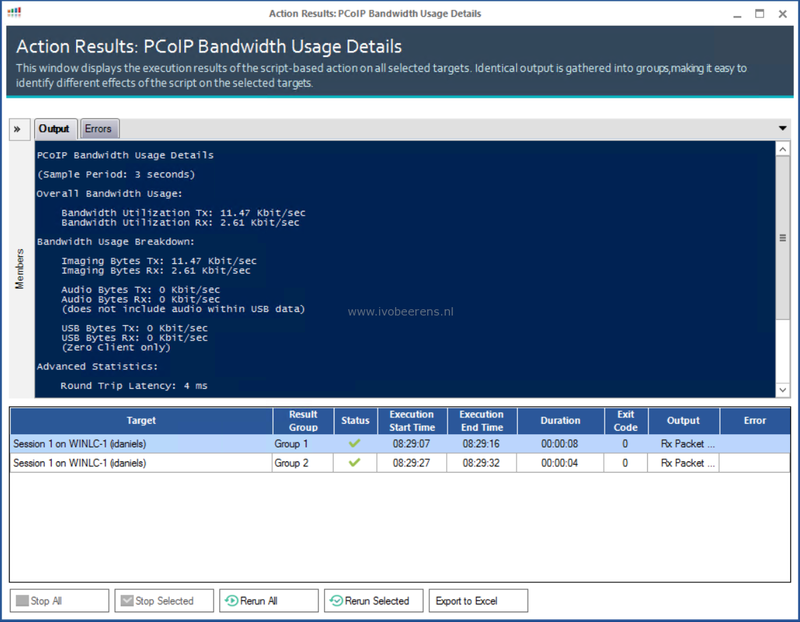 With ControlUp Management Console we can troubleshoot performance problems on hosts, computers and,-sessions in real-time and identify the process that is causing the 100% CPU utilization. With vROps we filter on “Percent Processor Time%”, select the session and perform a manual “Get Desktop Processes”. The “Get Desktop Processes” task takes between 10-30 seconds to generate a list of process information per desktop. In ControlUp getting the processes list is in real-time. Besides identifying high CPU utilization other performance counters can be identified with both products. The report data can be exported as CSV files. The reports aren’t as fancy and interactive as in ControlUp. The reports can be exported as CSV or PDF files. 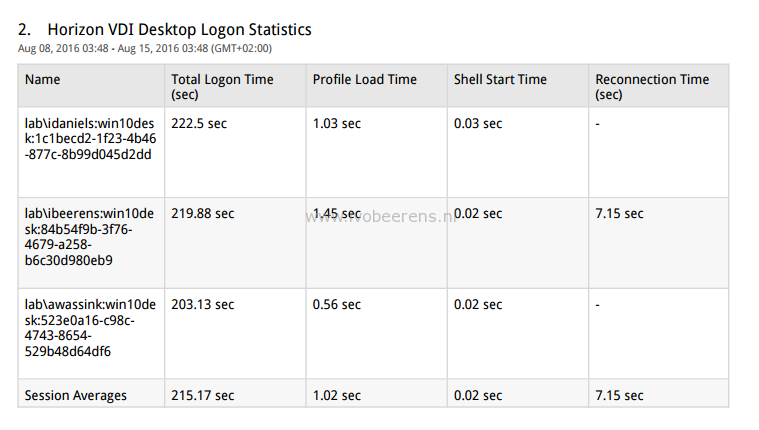 Besides performance metrics User Experience (UX) metrics are very important in a VDI and SBC environment. 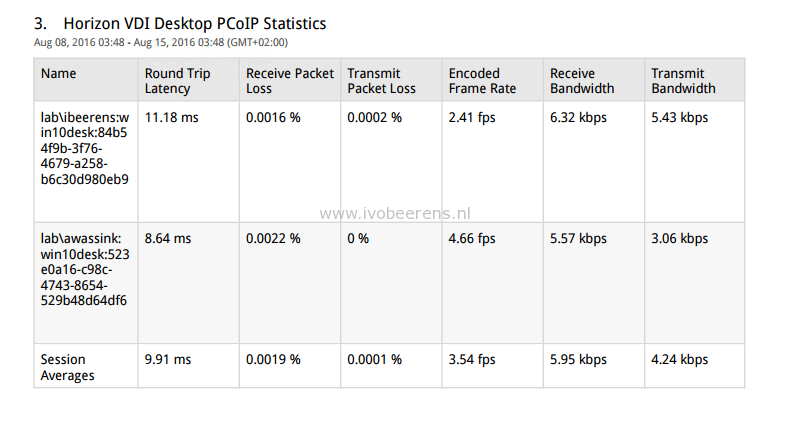 PCoIP Session bandwidth usage and latency. Both products offer UI metrics. The Application Load Time is a new cool feature in ControlUp 6 that measures the time that it takes that an application become available for the end user. This is good indicator for the User Experience. 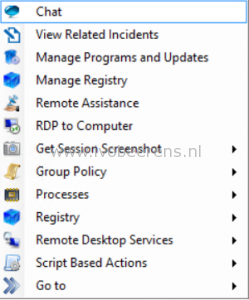 Script-Based Actions (SBA) allows the admin to extend ControlUp functionality. Scripts (either developed internally or by the community and then sanitized by ControlUp before being published), can be written using Batch, VBScript or PowerShell. 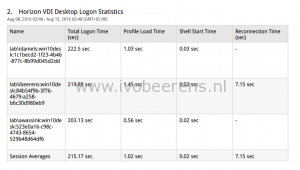 The Application usage report lists the number of concurrent instances and named users for the selected application. This helps identifying who is using what application(s) and licensing applications. The “top 10 Windows errors” report shows the most frequently occurring errors on all managed computers. If the error is known, it has a link with a possible solution and how to fix it. 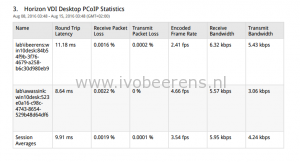 All the errors are benchmarkend against other organizations. Management Packs. There is a lot (VMware and third party) management packs available such as Virtual SAN and NSX. This improves the end-to-end visibility and monitoring with there own metrics. Less infra structure is needed than vROps for Horizon. Simplicity of the product with an easy learning curve. Great tool for real-time troubleshooting. Process information is available is real-time. Pre-defined interactive reports available for troubleshooting and management information. Offers other functions such as: killing services, Script Based Actions, chatting, managing the file system and registry, application usage, top Windows events etc. Besides the VMware vRealize Operations Horizon management pack, there are other management packs (VMware and third party) available that can be imported in vROps such as the Virtual SAN and NSX management pack. Such components become more and more common in a VMware Horizon environment. 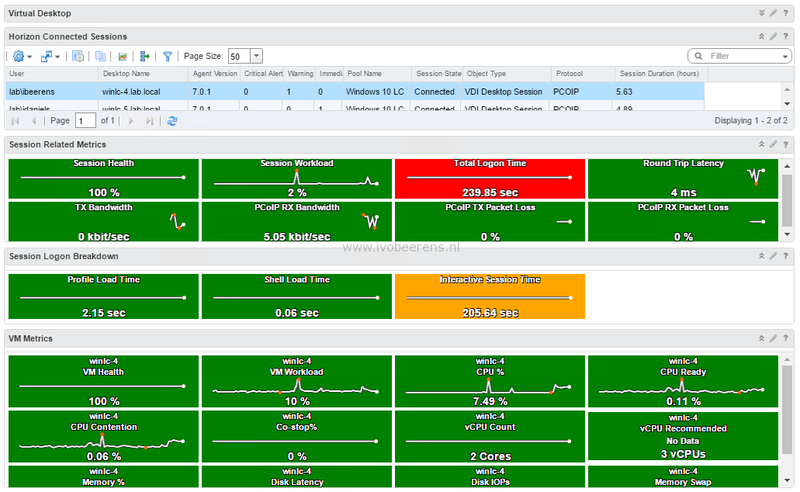 Adding these management packs improves the end-to-end visibility and monitoring. Ability to create personalized dashboards. vSphere and Horizon Infrastructure related counters such as VDI and Horizon applications pool information. What product do I need for Horizon environment? This depends on your requirements, use case and what licenses you already have. For example when having a Horizon Enterprise license, vROps for Horizon is included. 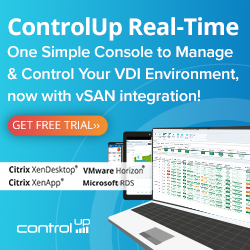 Even when having a vROps environment, ControlUp adds great value by it’s unique features such as the interactive ControlUp Insights reports and complement vROps.